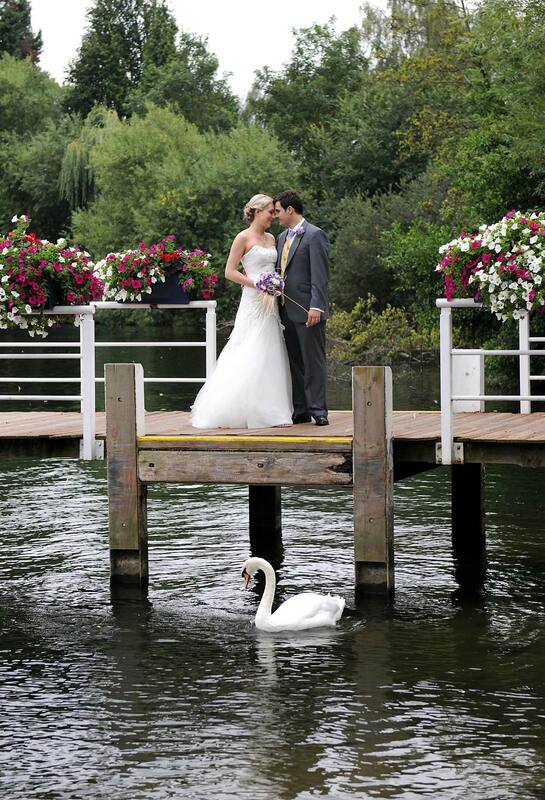 Set amongst 165-acres of glorious countryside with manicured gardens, woodlands and a private jetty on the River Thames, Royal Windsor Racecourse is a picturesque location for a truly romantic wedding. 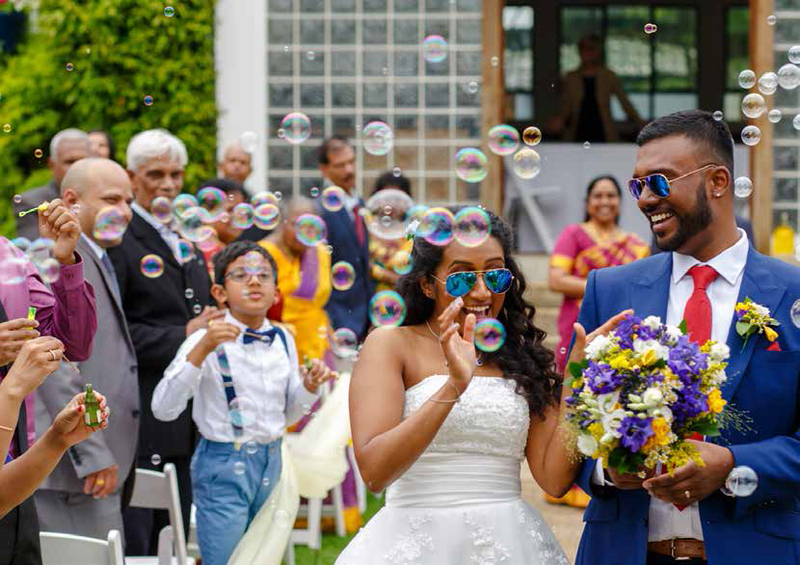 With the ability to accommodate over 450 guests, this wedding venue provides a range of options to create a truly unique wedding. 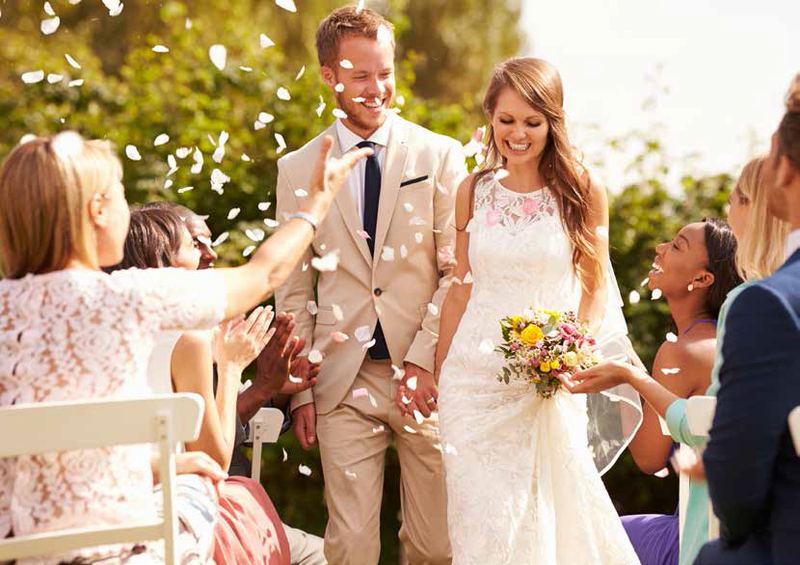 This beautiful riverside setting with vast lawns and gardens provide the perfect backdrop for you to hold your dream wedding. Offering the ability to create a bespoke wedding or the option to chose from a range of packages and rooms to hire, this is a brilliant venue for your stunning wedding day. 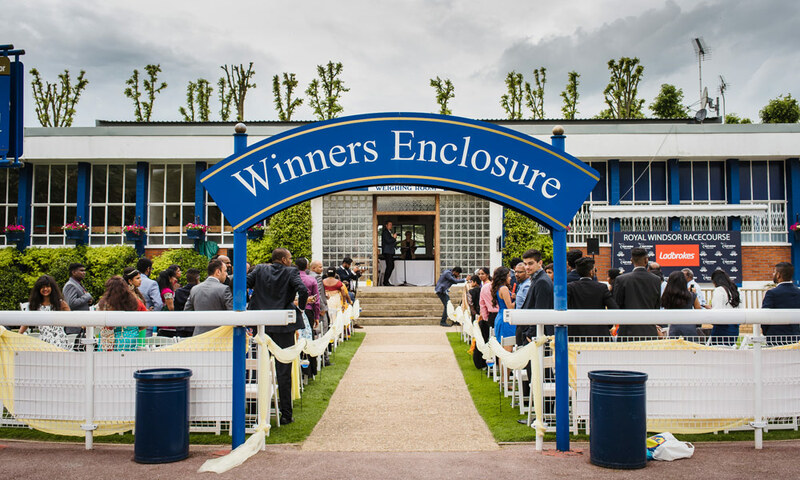 Windsor has a racing history dating back to Henry VIII's reign and this legacy has been continued by Royal Windsor Racecourse. Specialising in thoroughbred horse racing this regal racecourse is surrounded by superb scenery that has inspired generations of eager jockeys and spectators alike. 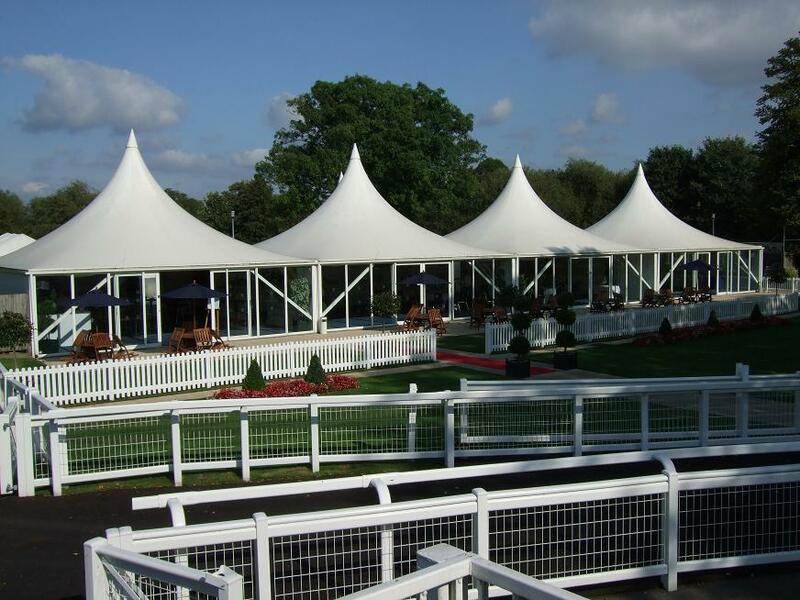 Royal Windsor Racecourse provides a variety of options to cater for your specific needs. Various options are available and the spectacular grounds are an idyllic background for the day. 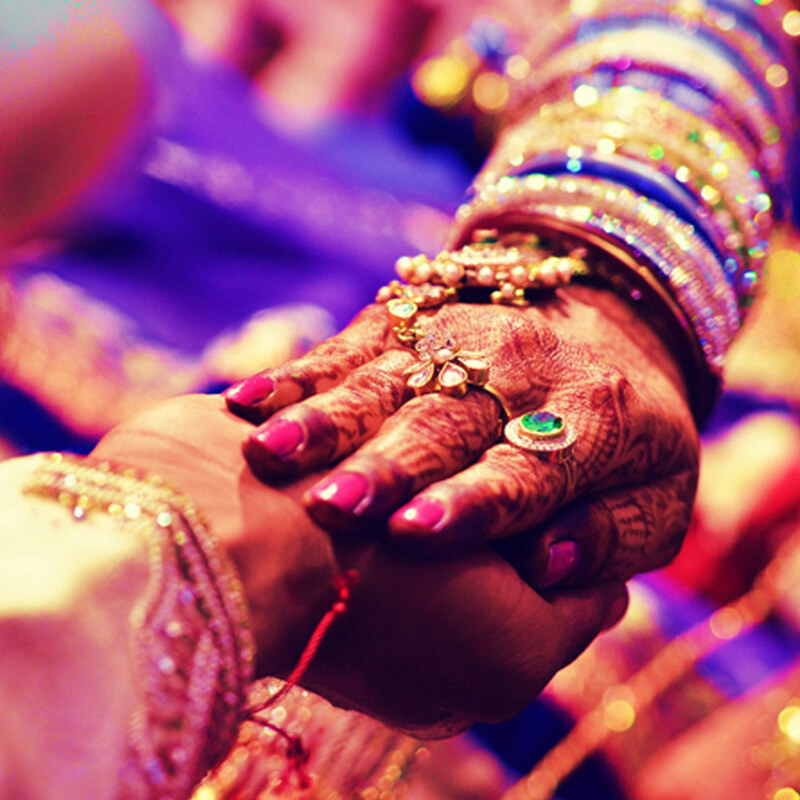 You can work with their experienced team to ensure your day is absolutely perfect. 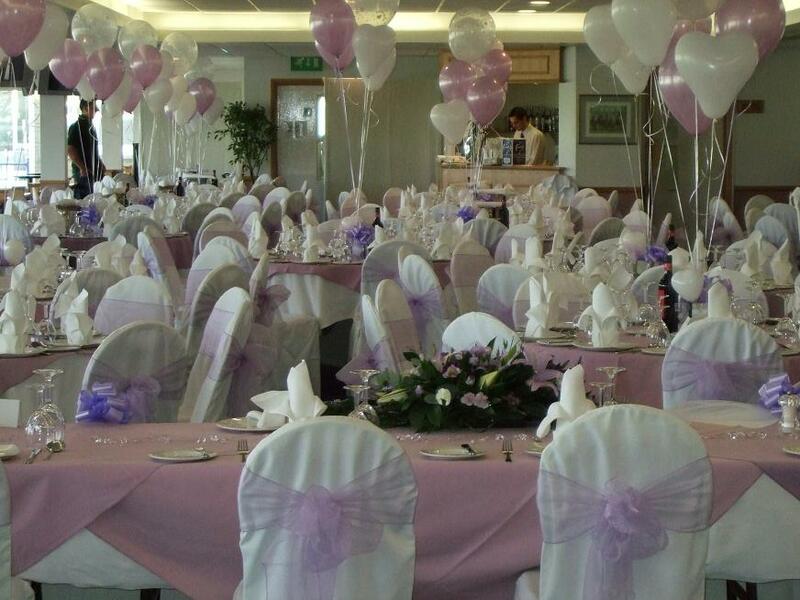 Exclusive hire of the Riverbank Pavilion is on offer to accommodate either an intimate or a grand event. Uniquely placed on their own island, make an entrance by arriving via a riverboat. 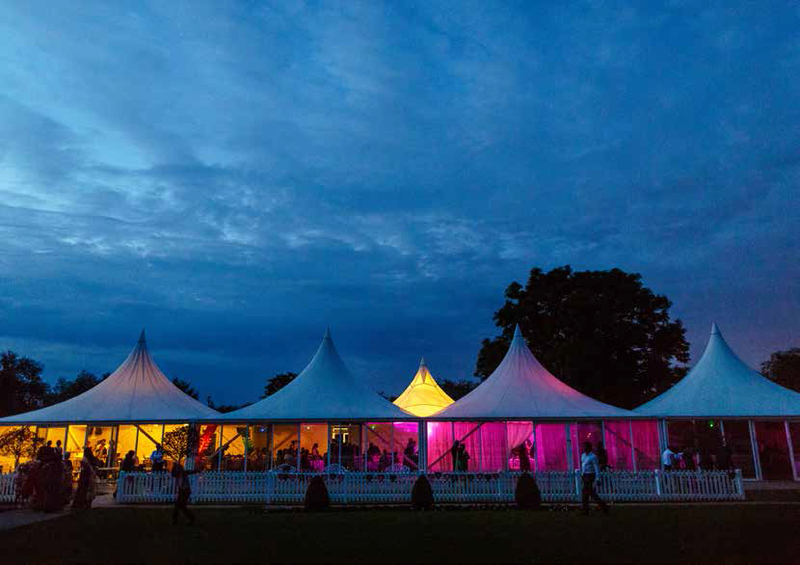 Containing The Castle Restaurant and two grandstand boxes, this large space can be customised to suit your wedding colours and theme. This space is found on the top floor of the Grandstand and overlooks the prestigious race course, making for the perfect backdrop for your photographs. Featuring a full-length balcony to enjoy the view. 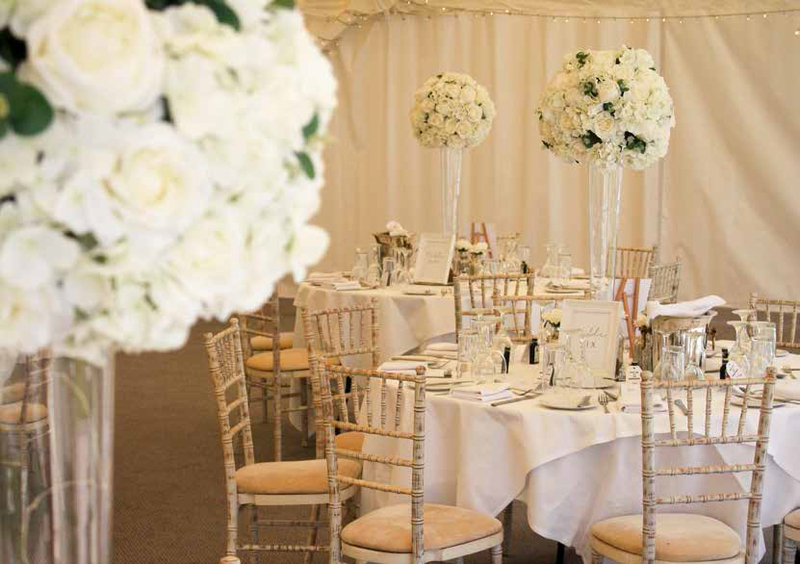 Depending on the size of your wedding, Royal Windsor Racecourse has a variety of other rooms available and different venue hire options to make personalise your day. 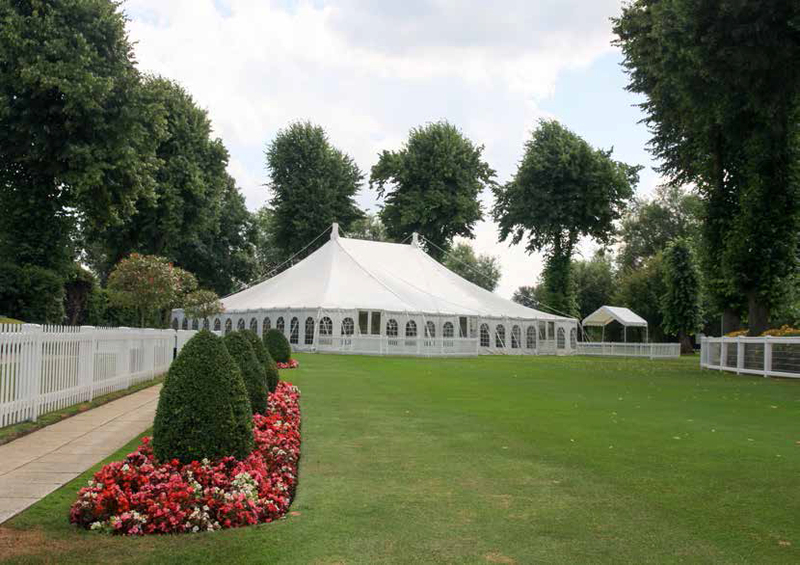 Set up your marquee on one of the vast lawns for a memorable and picturesque setting. 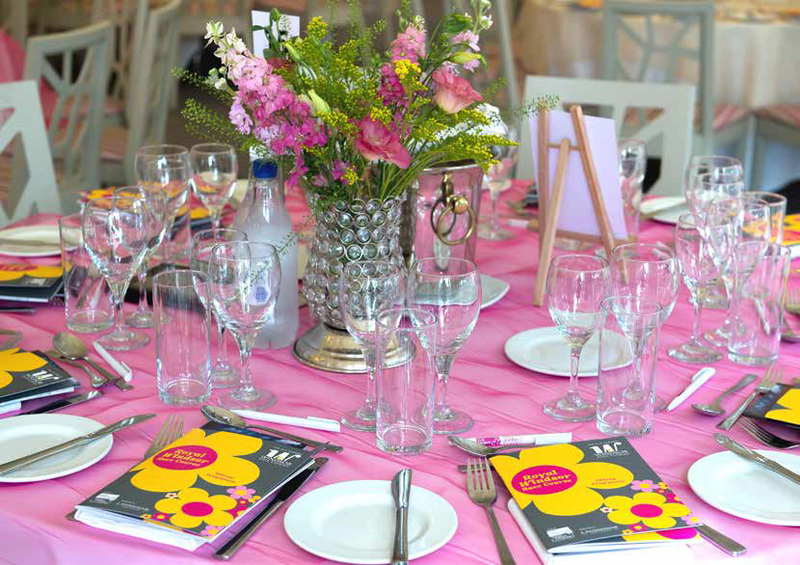 Royal Windsor Racecourse provides in-house catering, or allows you to source your own caterers if you wish. The racecourse works with a number of luxury caterers who can provide hog roasts, buffets, Indian banquets and much more. 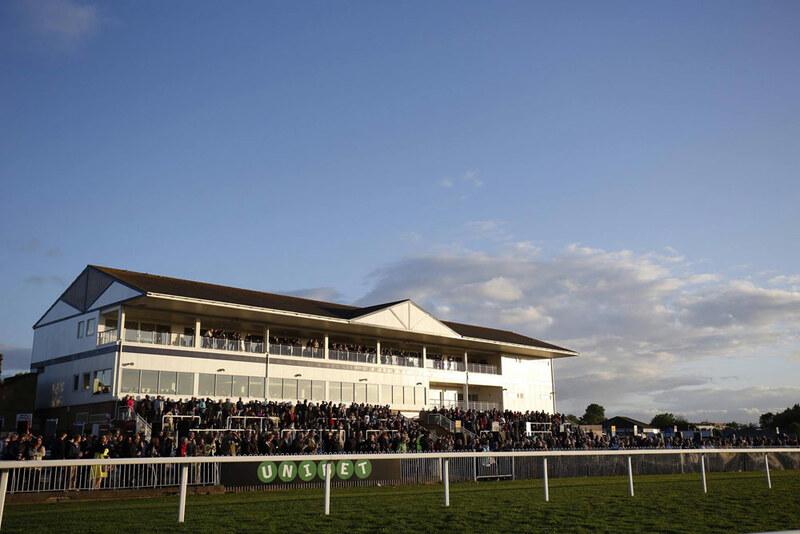 For more information on Royal Windsor Racecourse and all it has to offer, use the contact buttons listed on this page. My partner and I found the perfect venue for our wedding at Royal Windsor Racecourse. 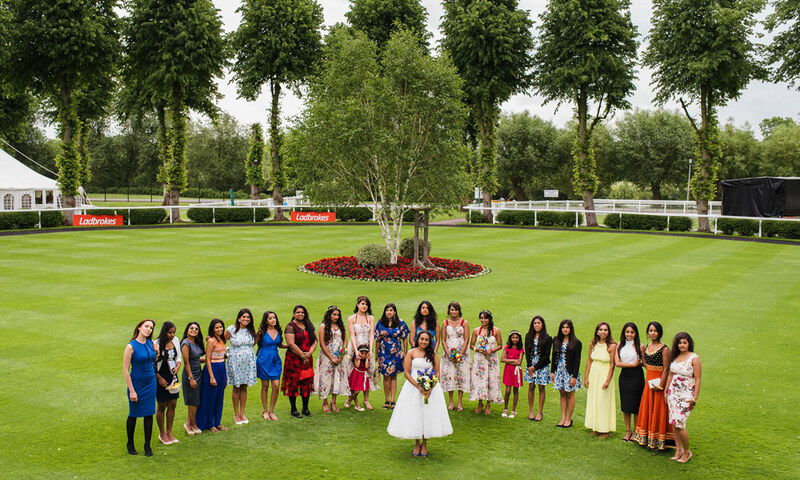 The beautiful back-drop of the racecourse was a perfect setting in which to hold our wedding. We were blessed with great weather which allowed us to utilise the outdoor space. The venue has a number of buildings which we used throughout the day. We were able to hold our registry wedding ceremony outside in the ‘Winner’s Enclosure’ which was lovely. The staff at the racecourse are excellent and really try and make it a special day. Nothing is too much trouble for them. Let others know what you think of Royal Windsor Racecourse by giving a star rating and a small review.